March isn't near, it's here. 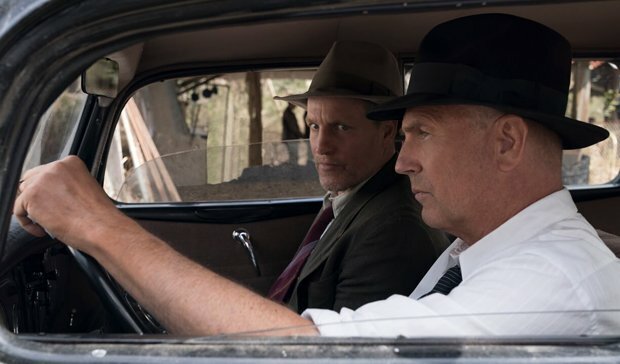 This month we're mostly excited about the long-awaited second season of Brit Marling's ethereal sci-fi The OA (22 Mar), and the premiere of Kevin Costner / Woody Harrelson period crime drama The Highwaymen (29 Mar), which looks amazing as the pair play Texas Rangers hunting Bonnie and Clyde. If you caught the Free Solo hype recently you will definitely want to check out The Dawn Wall (4 Mar), charting Tommy Caldwell and Kevin Jorgeson's Yosemite climbing exploits. Similarly, if you were cheering on Bohemian Rhapsody's Oscar-success, madcap Motley Crew biopic The Dirt premieres 22 Mar.